Need help with a research project? The library provides access to a number of online resources to help with your educational, informational, and recreational needs. Protections & Complaints (Consumer complaint, Do Not Call Registry, Federal Communications Commission (FCC), Federal Trade Commission (FTC), Occupational Safety and Health Agency (OSHA), & more). Regional Resources (Board of Elections, Road and weather updates, Great Smoky Mountains National Park road closings, Blue Ridge Parkway, Nantahala National Forest, Southwestern Commission, Western North Carolina Film Commissions, Town of Sylva, Franklin, Bryson City, Dillsboro, Highlands, Cashiers, Nantahala information, Eastern Band of Cherokee & more). Research databases on topics such as career, business and investing, health, history, genealogy, data and demographics, philosophy, religion, science, technology, and everything NC. View the full list of NC LIVE databases on our website, including new, featured, & popular resources. Access Digital Library Materials on your own iPad, Kindle, Nook, or any other tablet or eReader at home with zero late fees! 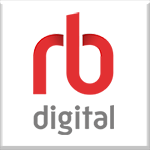 The RBdigital collection offers you access to ebooks and eAudiobooks. The Home Grown Collection features fiction and nonfiction digital eBooks from North Carolina publishers. and more! 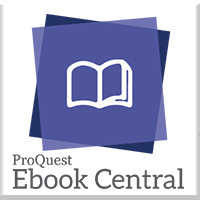 Check out our eBooks page for more resources and collections. Visit NCLive today to explore their digital collections. Call any FRL location for more information on NC Live. Our online Driver Education program contains North Carolina car, motorcycle, and CDL practice tests, as well as online driver's manual, and access to detailed answers about DMV-related FAQs. For information about renewing your driver's license or requesting a duplicate driver's license online, visit NC Department of Transportation's DMV - License Renewal & Duplicate. After 13 years of funding support from the State Library of North Carolina, NCKnows will end on September 30, 2017 at 11:59 p.m.
Read more from State Library of North Carolina. 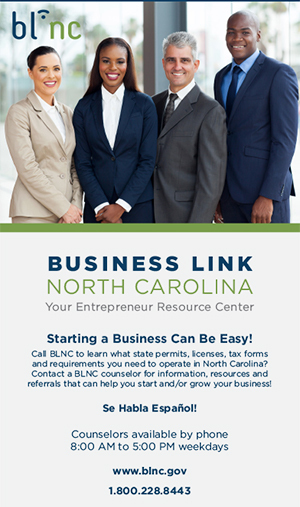 Business Link North Carolina is your entrepreneur resource center. Starting a Business? Call BLNC at 1-800-228-8443 to learn what state permits, licenses, tax forms and requirements you need to operate in North Carolina. A BLNC counselor can provide you the information, resources and referrals that can help you start and/or grow your business. Se Habla Español! BLNC Counselors are available by phone 8am-5pm on weekdays. Visit Business & Investment Resources from Fontana Regional Library for more information & resources to help you with your business. BLNC is a division of the Economic Development Partnership of North Carolina (EDPNC) and works closely with state, local and federal agencies, as well as other business support organizations, to provide you with the information that you need.